On weekdays, we serve fresh & locally sourced sandwiches, salads, seasonal specials, cold beers, natural wines, and probiotic cocktails. On nights & weekends, we’ll host your next private banquet, whether formal or low-key. We’re relaxed during the day, but we clean up nice and love to do so. Enjoy exclusive access to our spaces for your special occasion! 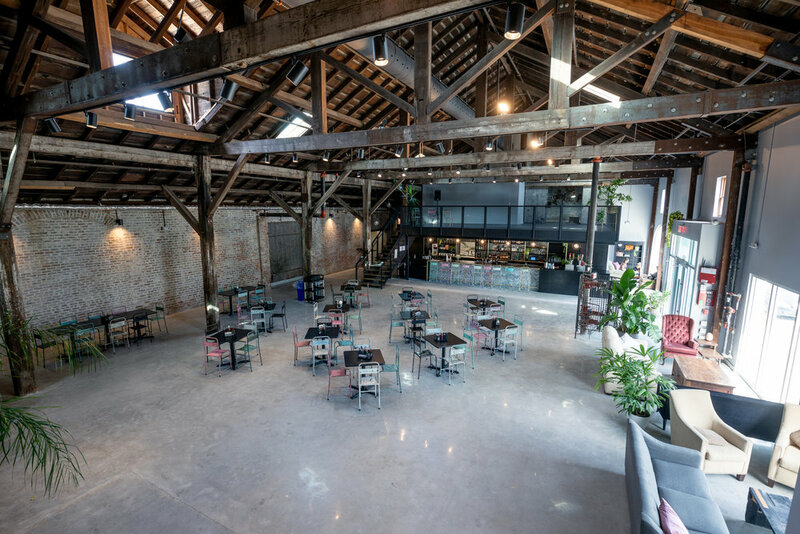 Our building—a restored 1800’s warehouse with 30-foot high pitched wooden ceilings, exposed brick, a full kitchen, bar and mezzanine seating—plays an elegant host for momentous occasions. 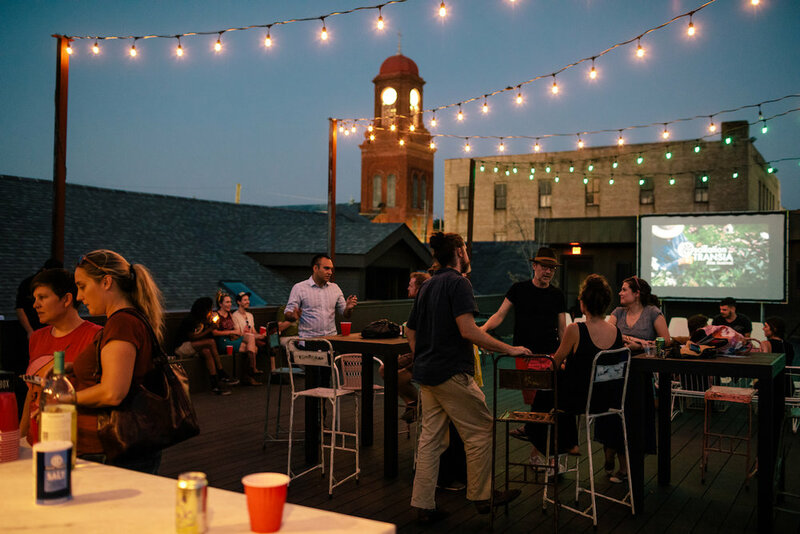 Enjoy fresh air and a panoramic view of the city from our roof deck, which is nestled in a historic New Orleans neighborhood, 10 blocks from the French Quarter. We host wedding receptions, wedding rehearsal dinners, non-profit fundraising galas, corporate dinners, birthday dinners, and other large banquets. Your banquet is unique. You’ll remember it for the rest of your life. Tell us what you want from your food experience and Capulet will create it. We’ll work with local culinary curation company My House Social to tailor a unique menu for your banquet. Next, we'll pull from My House Social's rolodex of 40+ local chefs to bring your vision to life. Book Your Banquet now at our and we’ll immediately start working with you to design a unique menu for your banquet. Our dining room—which includes mezzanine seating, a private meeting room, and space for a dance floor and a stage—can host up to 250 guests. Our bartenders will serve your favorite cocktails, wines, and draft beers. Here are some photos of our spaces and future renderings of our bar & mezzanine. Follow our build-out progress on Instagram and Facebook. Our roof deck—which includes a wet bar—can accommodate seated dinners for up to 135 people and ceremonies of up to 225 people. Our full kitchen includes a convection oven, 6-burner range, deep fat fryer, smoker oven, griddle and refrigerator. Capulet’s neighborhood pre-dates the automobile and our building has no built-in parking. We have access to a nearby parking lot and—depending on the timing of your banquet—may be able to reserve it for your guests. Otherwise, we recommend that you pre-arrange shuttle transportation or encourage your guests to use ride share apps & taxis. For your banquet or fundraiser, Capulet has ample room for a dance floor and a live band. However, we do not host raves, concerts, or ticketed events. We live in a mixed-use commercial & residential neighborhood, we follow the City of New Orleans noise ordinance, and we generally operate modestly to respect nearby residents. Banquets at Capulet end no later than 11pm on Fridays & Saturday and 10pm on Sundays through Thursdays. *Outside caterers or chefs not coordinated through My House Social require a $6/head charge on food costs. Spring ‘19 Wedding Sale: Ask about our Promotional Rates! Our restaurant happened when a local coworking space got hungry and a sandwich-obsessed chef came to the rescue. We’re at the corner of Montegut & Dauphine Streets and chose the name Capulet to ensure equal representation in the neighborhood. Give us a holler with any questions! Looking for Work? Capulet posts notice of all new hire openings on Instagram & Facebook.